Become alive to history! Explore a world of artifacts in a multitude of museums. Learn about the Native American lifestyle. See Civil War memorabilia. Stand inside 18th century buildings. Stroll through Colonial gardens. Board a replica of a 16th century sailing ship. Experience life on a southern plantation. Over 29 Historic Sites to See! When you embark on the Historic Albemarle Tour, which winds through our sites and coastal North Carolina counties, you encounter chapters from American history that teach volumes about the present. The tale of this ancient region is the story of America. It’s a story of growth and change. Of wilderness walks and uncharted horizons. Of rivers and oceans. Of exploration and independence. A multi-dimensional microcosm of the American experience. Discover Eastern North Carolina Historic Sites. Take a self-guided tour, schedule a student field trip and book large groups. 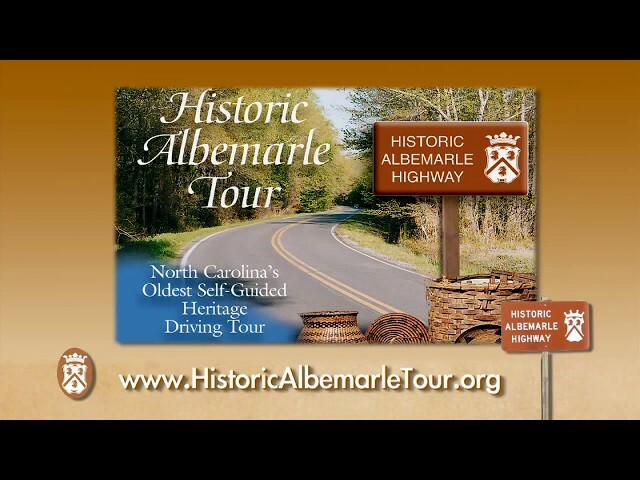 Relive our history by joining the Historic Albemarle Tour! To travel through time, just follow the trail. There are many wonderful books and resources about the Historic Albemarle Region!